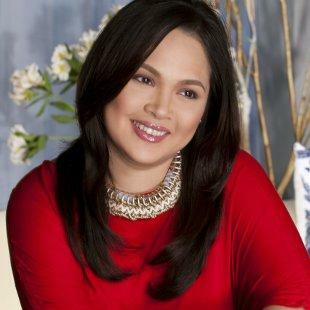 There are rumors now that Judy Ann Santos, who is in ABS-CBN for over two decades (See article: Judy Ann Santos on possible network transfer when contract ends?) regarding network switching. If these are true, about Judy Ann leaving, then so be it. It's a decision that she has to make, a decision that only she can make (or her manager, or her mother). Nonetheless, Judy Ann is a big star, yes. However, if her transfer will make her a bigger star, then why not? It will surely be a loss for ABS CBN, much like Angel Locsin was a loss for GMA Network. Though Juday is a loss, she will be replaced. And with saying that, there's no intent of malice -- it's just how it is. Stars will be replaced, whether they like it or not (and whether we do or not also). Even with Marian Rivera 'replacing' Angel in GMA Network, Angel was their biggest star then. For ABS CBN, with the advent of a new generation, and new artists, Judy Ann's transfer will be a loss, but can be replaced by the new generation. It was a Judy Ann-Claudine rivalry before (with Jolina in the sidelines) but then they are two different artists, and very different in their acting. Anyway, my point is, Judy Ann can do whatever she wants, if it is for her greater good and her fans will surely support her all the way. For me, she's an awesome actress and whatever she wants to do in her life, is not my business. Wherever she goes, it doesn't change that fact.